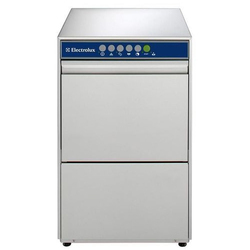 Our firm is best name in the market offering best and excellent quality assortments of Under Counter Glass Washer. 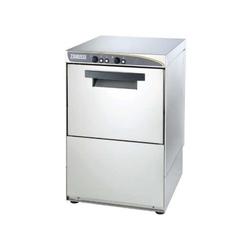 Leveraging on our skilled and qualified professionals, we are actively involved in offering a trendy range of Glass Washer to our valuable customers at pocket-friendly prices. Our Company is one of the famous names in the market for offering a wide assortment of Horizontal Glass Washing Machine at very affordable rates to our clients. Glass Washing & Drying Machine is best for cleaning and drying the glass sheets before metallising. Speeds: 0.93 m / 1.41 min. After the glass come in washing machine, it washes and dries in the washing machine. It is composed of brush for cleaning glasses, nozzle and pump for supplying water, air knife for first drying, powerful blower, six washing brush motors, and glass transmission motor.